So today, a friend of mine, who happens to be an EMS worker and very pro-cop, and a page administrator at the Facebook page Inside the Fire: A Page for First Responders, was cruising a local mall, the Colonie Center in Albany, NY, and just killing some time. 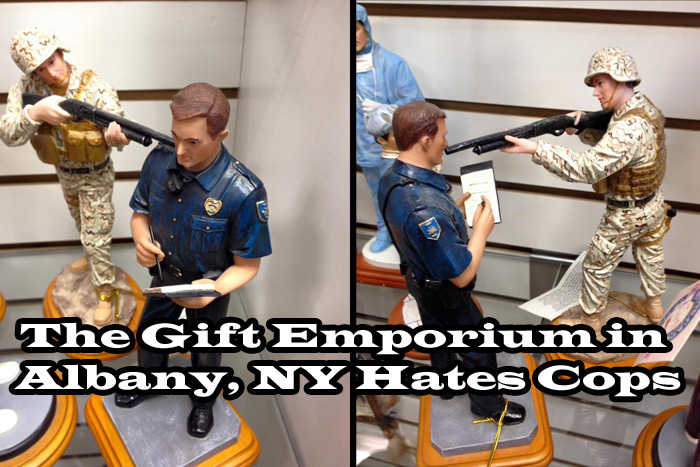 He wandered into a small gift shop called the Gift Emporium, located on the lower level of the mall. 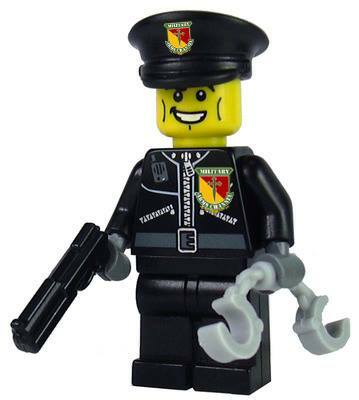 As he looked around, he noticed something that stood out to him on the shelves of commemorative figurines from varying professions. 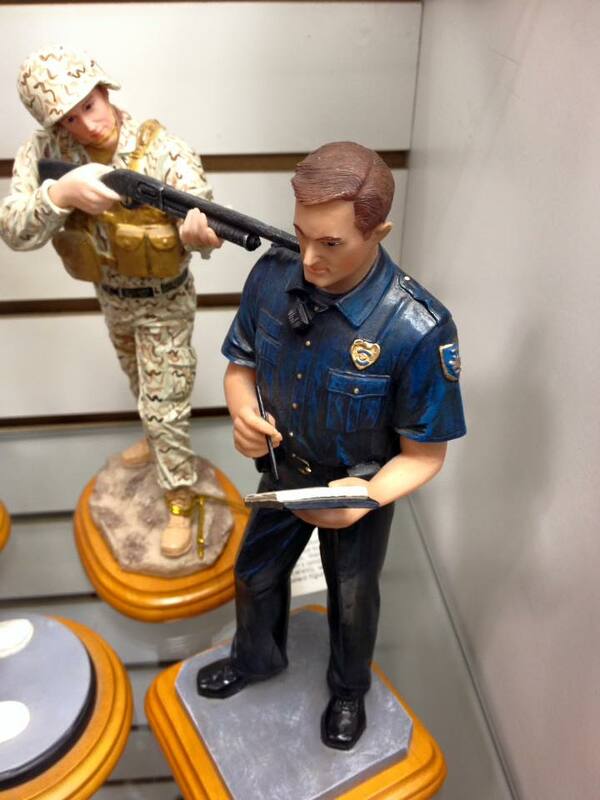 What stood out was that all of the military member figurines holding shotguns had their guns pointed at the heads of the police officer figurines. These were not figurines that were manufactured in that pose, they were separate figurines that had been placed like this, and it was repeated on the shelves. You can clearly see the figurines and the placement in the photos he took (see below). 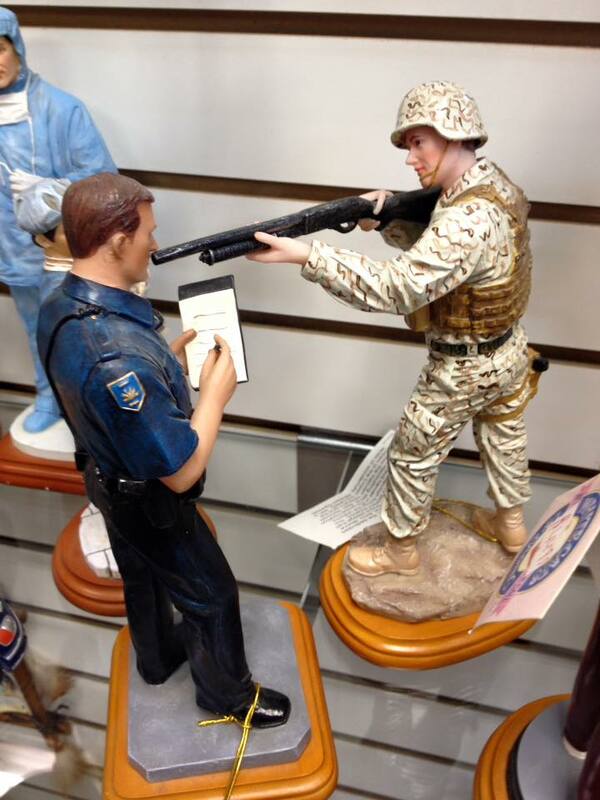 As you can see, these are different figurines as in one photo, both the military figure and the cop have a manufacturer tag attached to their leg and in the other photo, it is only the military figure that has a manufacturer tag tied to his boot. So, not only is the employee outwardly hostile towards law enforcement, she is also very derogatory of someone who disagrees with her views. Sounds like a fantastic employee who represents her employer well! If you support law enforcement, I recommend contacting the business and let them know what you think about the display and their company’s representative. Their contact information can be found here. Also, please share this to spread the word.